Monthly Education July - Where's The Money? Join the Tri-Lakes Chamber at our monthly networking mixer brought to you by TBD. The event will be held at TBD in Colorado Springs. These events are a perfect opportunity to meet face to face with many other business professionals, while enjoying great food and refreshments. Make check-in easier for you, pre-register! Non-members can also register ahead of time and even pay online. What a huge time saver, so you can get to the food, drink and networking sooner! Street fair, pancake breakfast, fun run, parade, and more! Registration is for being a vendor at the Street Fair only. 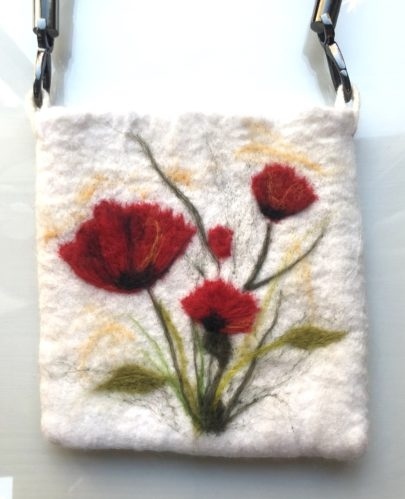 In this first collaborative class, learn the basics of wet felting from Jennifer making a small purse. Then come back and embellish it with needle felting taught by Wendy. You can choose your design and colors. All tools and materials included. Cost: $90. For questions, contact Jennifer via email at jennifer@gallery132.com. Groups of 3 or more can request a specific class day and time. Registration Deadline: Apr 20. Appropriate for 13 years and up. Minors need to be accompanied by an adult. Registrants canceling 48 hours prior to class time will receive a 75% refund. If D38 is closed for weather, the class will be rescheduled. FREE Event for members and non-members. Learn how to increase success in your business specifically through the use of social media. This workshop will get you started amplifying your business through discussing concepts and tools for utilizing social media that are relevant to all platforms. Discover the world of nature with your 2 or 3 year-old. Interactive activities and a short hike make this the perfect introduction to the outdoors for your child. Session repeats 1-2:15 pm. Do you have health and wellness goals? Would you like some support in reaching them? Ever wondered what Profile is? Join us! We are hosting 2 discovery sessions that will talk about what we do at Profile and how we can help you reach your health and wellness goals! The presentations will take place at 4:30 pm and 6:00 pm. Celebration and reception to be held at the school district administration building on April 25, 2019, at 7:00 p.m.
Join us for our annual Arbor Day Celebration! It will be held at the future Water Wise Demonstration Garden near the Santa Fe Trail 3rd Street Trail head. Parking is available at the 3rd Street Trail head. However, it is limited, so you are encouraged to walk or carpool. Because of a death in the New Christy Minstrels family, their concert (previously scheduled for December 15, 2018) is being postponed until April 26, 2019. Tickets already purchased will apply toward the new date. Thank you for your kind consideration. (This is NOT a tribute band.) The New Christy Minstrels® (officially known as The New Christy Minstrels®, Still Under the Direction of Randy Sparks) is an American large-ensemble folk music group founded by Randy Sparks in 1961, and currently in concerts across the country, still going, better than ever with 100% record of at least one standing ovation per concert since Randy Sparks revised the group with the current line up of stellar entertainers! From their beginnings as prominent figures in the early-1960s U.S. folk revival, the group recorded over 20 albums and had several hits, including Green, Green, Saturday Night, Today, Denver, and This Land Is Your Land. Their 1962 debut album, Presenting The New Christy Minstrels won a Grammy Award and sat in the Billboard charts for two years. Available at their live concerts are the current CDs: The Greatest Hits CD, RECYCLED; their most recently recorded CD with this group of performers, NICE TIME TO BE ALIVE, and a rare find in the recordings from the Sony Record vaults – the RAMBLIN’ Extended CD. Reserved Seating in First Five Rows: Additional $10 Per Ticket. Moths, Beetles and Bugs, Oh My! Join Mile High Bug Club as we deploy blacklights to attract some of these natural wonders during the City Nature Challenge. With luck you might glimpse Glover's Silkmoth, a beautiful and giant insect that frequents our foothill forests. Entomologists will be on hand to help you record observations and answer your questions about insects, spiders, and other overlooked organisms. Join the community in this effort to complete cleanup projects at Bear Creek or Fountain Creek Nature Centers, or other sites around the city. All ages welcome! The Great American Cleanup / Pikes Peak Partners is a coalition consisting of the City of Colorado Springs, Colorado Springs Utilities, El Paso County, the City of Fountain, Keep Colorado Springs Beautiful, The City of Manitou Springs, the Town of Monument, and UpaDowna. In 2018, over 400 volunteers collected refuse at local parks, trails, creeks, roads, and town centers. We are encouraging civic organizations, churches, scout groups, school groups, and individuals to participate in 2019 as we give the Pikes Peak region a spring cleaning! The Tri-Lakes Women’s Club will host 100-plus vendors at “Spring Into Vintage” April 27-28 at Lewis Palmer High School, 1300 Higby Rd. in Monument. The 43rd annual show touted to “Romance Your Home & Garden” will feature vintage, home décor, jewelry, antiques and food trucks. One of the shows most popular features is a homemade bakery sale. Vendors from throughout the Rocky Mountain region will bring a variety of fun, creative, unusual items for your home. In addition, the show will feature entertainment. In addition, the Tri-Lakes Cruisers and the Studebaker Drivers Club will feature vintage cars each day outside the show. The first 125 shoppers each day will receive a custom shopping bag stuffed with coupons and prizes. And, kids can participate in a $5 cakewalk each day at 1 p.m.
All proceeds from the show benefit non-profits and public schools in the Tri-Lakes area. The Tri-Lakes Women’s Club has given almost $1 million to aid local schools and charities. 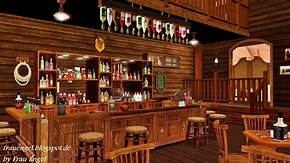 Join Western Museum of Mining & Industry for Our 1st Annual Saloon Night & Charity Event! Howdy cowboys and cowgirls! Join us for an evening of whiskey and wine tasting, silent auctions and raffles to benefit the museum! Come dressed in your best Western attire. (Sorry fellas-- guns must be checked at the door). Networking Breakfasts take place the first and third Thursday of every month in the Chamber of Commerce Community Room from 7:30-9:00 AM. Listen to 10-minute informative talks from two fellow members. Meet and mingle with other business people over a tasty breakfast provided by the speakers. Everyone gets 30 seconds to introduce themselves and tell what's up in their business. Annual membership is $40 and Chamber membership is required. You must register in advance to attend, walk-ins are not allowed. If you are bringing a guest, they too must register. Please be punctual. Please email laura@trilakeschamber.com if you can no longer attend. When you arrive please do not park in the Black Forest Foods or Ice Cave parking. Black Forest Foods is open for Breakfast and they are a member of our so please be respectful of their business. Toddlers, accompanied by an adult, will enjoy interactive, nature-themed activities, story time and short hikes. Let’s see what birds we can see or hear on the trails of Bear Creek and discuss their behaviors and adaptations. Bring binoculars if you have them (Limited number available to borrow). Join the movement! The Southern Colorado Walk to Defeat ALS is taking place on May 4th, 2019 at America the Beautiful Park in Colorado Springs, CO.
More than 10 years have passed since a Walk to Defeat ALS event in Colorado Springs, and we can’t wait for you to join us in bringing the Walk back to your community. In 2018, we said goodbye to celebrities diagnosed with ALS, including physicist Stephen Hawking and Stephen Hillenburg, the creator of SpongeBob Squarepants. But there are so many more people in our communities battling this disease. They are your neighbors, your coworkers, your friends, or your family. The ALS Association Rocky Mountain Chapter strives to fight ALS and empower people living with ALS today. We need your help in fighting ALS on all fronts: fundraising, advocacy, and medical research. By working together, we help to support families affected by ALS, expand care, and develop better treatments. Most of all, we urgently need to find the cure for ALS. The Southern Colorado Walk to Defeat ALS unifies families, friends, communities, companies, and YOU in striding toward that goal. SIGN UP TODAY FOR FREE, RAISE FUNDS, HAVE FUN, AND WALK WITH US! Explore over 20 outdoor activity stations including puppet shows, dinosaur fossils, bug sweeps, kite making, pond critters, crafts and more. Free slice of pizza for all participants from Papa Murphy’s. Celebrate the Grand Opening of the Ravissante Salon! Ravissante Salon is a beauty salon and spa featuring certified organic Intelligent Nutrients. Preschoolers, accompanied by an adult, will enjoy interactive, nature-themed activities, story time and short hikes. Not “bugs”—arthropods! Learn about insects, spiders, and their relatives with a puppet show, arthropod activity, and guided hike to catch arthropods. Geared towards grades K-2. Beginning to advanced birders count and record the numbers of bird species and populations found in Fountain Creek Regional Park during the height of spring migration. A Time To Dance presents its Spring Performance... Festival of the Clock, excerpts from Coppelia! 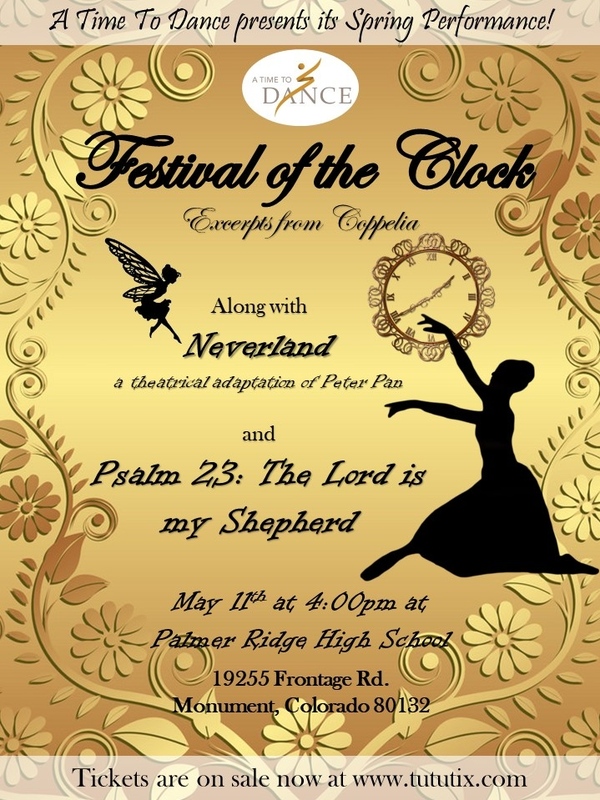 Along with Neverland, a theatrical adaptation of Peter Pan, and Psalm 23: The Lord is my Shepherd. Cappadocia plays a five-string cello and an eight-string quartertone guitar, both of his own design. He performs regularly with the Bethany and Rufus Roots Quartet (USA / Niger / Haiti); Bonga Jean-Baptiste’s Vodou Drums of Haiti (Haiti); Peter, Bethany & Rufus (USA); Ilham featuring Gaida Hinawi (Syria); Vishal Vaid Ghazal Ensemble (India); Paradox Trio (USA / Macedonia); and Stellamara (USA); as well as his Unaccompanied Solo Performances. “I’ve studied a lot of different musical vocabularies,” Rufus Cappadocia explains. “And I’ve played with musicians literally from around the world. But, in the end, music all comes down to a single source. You can be pulled this way or that, but essentially it all converges on the same location. Every doorway leads back to one place.” He pauses before adding with a laugh, “I guess you could say my whole life has been an attempt at getting to that place.” Meet cellist Rufus Cappadocia, a multi-lingual musician, performer, composer and recording artist of incredible range and diversity. From the modalities of Middle Eastern, West African and pan-European folk forms to blues, rock and jazz along the way, adding elements American roots, Mediterranean textures, and Caribbean percussion for good measure, Cappadocia’s effortless and natural embrace of all music is awe-inspiring. After living and performing throughout Europe, Cappadocia relocated to New York where he set up a more or less permanent base, intent, in his words, “on playing with as many different musicians as I could. If my travels had taught me anything, it was the value of playing with other artists.” In short order Cappadocia joined the multi-faceted jazz ensemble, The Paradox Trio, though the nomadic artist was embraced by virtually every artist and musical community he sought out, including such widely assorted musicians as Celtic pioneer Seamus Eagan and master Haitian drummer “Bonga” Jean-Baptiste with the Vodou Drums of Haiti; musical polymath Ross Daly, who was instrumental in introducing Cappadocia to Middle Eastern and Balkan music; Vishal Vaid, a virtuoso Indian Ghazal vocalist and guitarist David Fiuczynski, with whom he formed the Eastern Modal fusion group, Kif. Add to this list such marquee names as Aretha Franklin, Odetta, Cheick Tidiane Seck, and Vernon Reid, former guitarist of Living Color – all of whom Cappadocia has worked with – and his reputation as a world-class artist with a world-spanning musical reach makes perfect sense. And, like that list, it’s a reputation that continues to grow as the cellist forges new alliances in the most unlikely musical domains. It’s a lifelong quest that had made Rufus Cappadocia a master of music’s universal language, in all its astounding diversity. Come join the Pikes Peak Library at Library 21c, 1175 Chapel Hills Drive on May 13th from 9 am to 2 pm to meet the many free and low cost resources you can get needed information from to start or grow your business. Meet the people who can assist in growing your business. This also includes some businesses who support the local community as wel. Call Terry Zarsky at 719-531-6333 x6119 for further informationor e-mail tzarsky@ppld.org. Join Kelsey Mazur to learn about birds from the past. Free and open to the public. 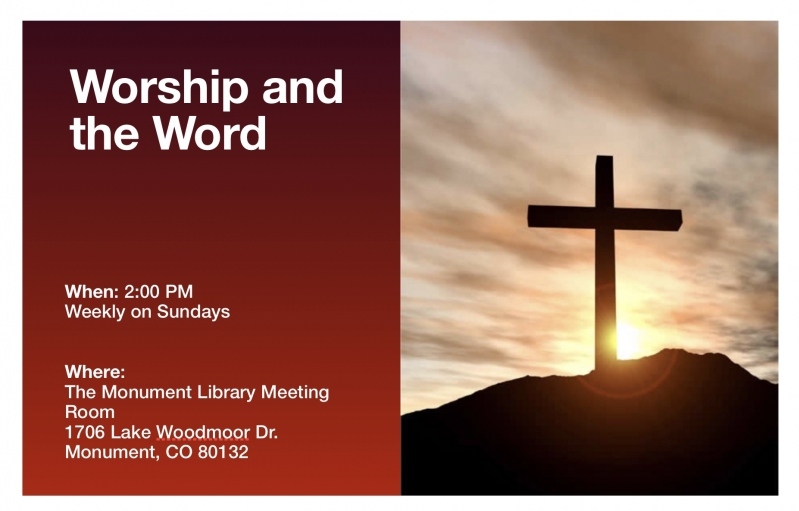 Social and refreshments at 6:30 p.m. Discover new birds when you register for the local festival that promotes conservation and education, building upon the natural and agricultural heritage resources of the Pikes Peak Region. Choose from over 30 field trips and activities. FREE HEARING SCREENINGS, and hands-on experience with the latest in hearing assistive devices for your home. 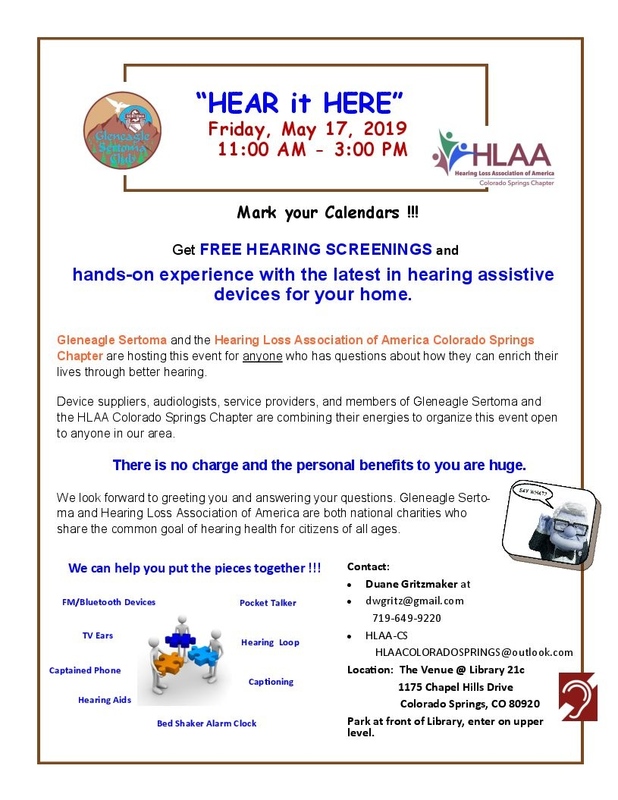 Device suppliers, audiologists, service providers and members of Gleneagle Sertoma and HLAA Colorado Springs Chapter are organizing and sponsoring the event. FREE OF CHARGE. Join Heritage Pentecostal Church in celebrating their 5 month anniversary! 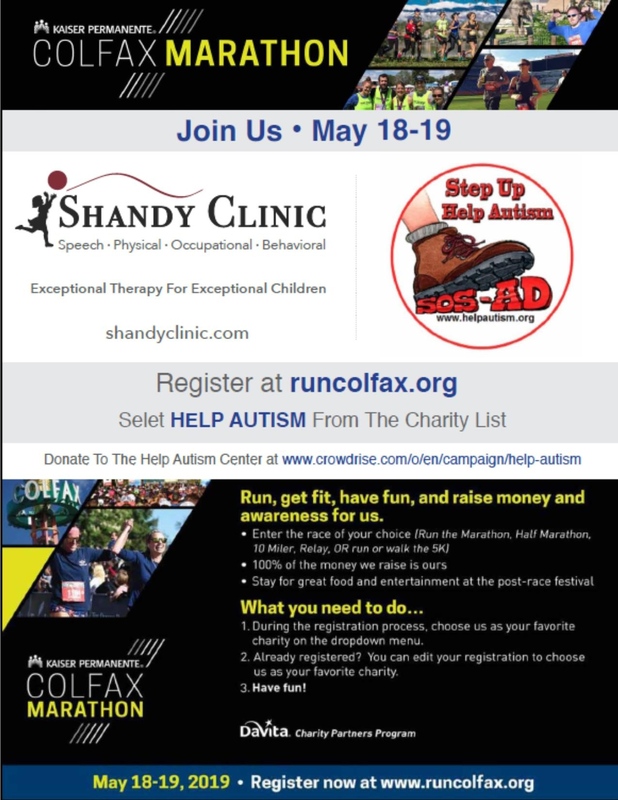 Join Help Autism & Shandy Clinic at the Colfax Marathon. Denver, CO May 18-19-2019. We are looking for runners & walkers to join the Help Autism Team. 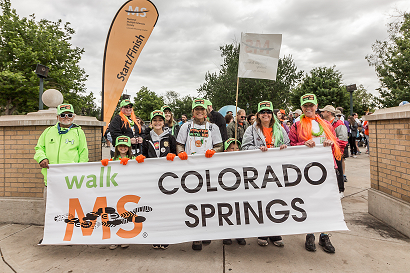 Walk MS: Colorado Springs is the annual fundraising event for the National Multiple Sclerosis Society in Colorado Springs. The event MS has 1 mile and 3 mile accessible routes and a great community atmosphere! Team up with friends, loved ones and co-workers to change the world for everyone affected by MS. Ending multiple sclerosis for good will take all of us. Together, we become a powerful force. And with every step we take, every mile we walk, every dollar we raise...we're that much closer. Together, we will end MS forever. Registration opens at 7:30, the program starts at 9:00 and the Walk starts at 9:30am. Heritage Pentecostal church is going to meet at 11 o’clock on Saturday, May 18 and it’s a family event. Folks will bring kids because of course there is a playground for the kids. We will have a free barbecue at noon. People will drift on by and get a free hamburger. This isn’t a fundraiser, just fun and open to the public. We will have music and singing. We will be there until 2 o’clock or so. We are just glad to be here in the town and want to get to know people and want them to get to know us. Song Spinners is an Entertainment Troupe/Show Choir whose members are volunteers who love to sing, dance and entertain others. They perform about 50 shows a year around the Colorado Springs vicinity for community organizations, businesses, retirement facilities, etc. Song Spinners has been designated by the City of Colorado Springs as the Official Colorado Springs Show Choir. experienced forager and teacher, Wild Food Girl. If we’re lucky, we’ll find enough to forage and sample. Fountain Creek Nature Center is seeking motivated teens to develop public speaking experience, learn about nature, earn service hours and work at least four 3-hour shifts during the summer. Written application, interview and training required. Contact Nancy Bernard at nancybernard@elpasoco.com for an application. Here is an opportunity for new members, old members and non-members to learn about the benefits of Chamber membership. Find out how to take full advantage of the member area of the Chamber’s website. Discover all the events that are open to members and the public. Maybe you’ll find you want to go the extra step and become more involved in the Chamber to increase your business exposure in the community. There is no charge for this event and lunch will be provided. Pre-registration is required. When you take on the challenge of being an entrepreneur, you take on the role of sales person. Cold calling. Lead generation. Overcoming objections. Closing. Most of these things do not come naturally, even if you are passionate about your product or service. It takes preparation and practice. 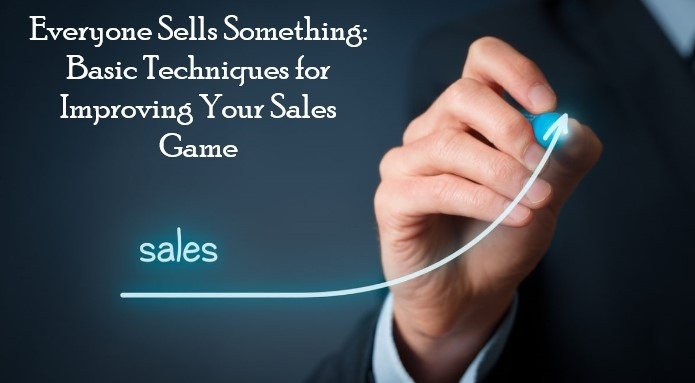 During this interactive session, you'll be designing a sales strategy, working on your verbiage and role playing a prospect conversation. Celebrate the opening of a new office location! Liberty Mutual Insurance specializes in home, auto, and life insurances and annuities. Join us for our 2019 STEAM Summer Camp! Looking for ways to keep your kids engaged this summer break? 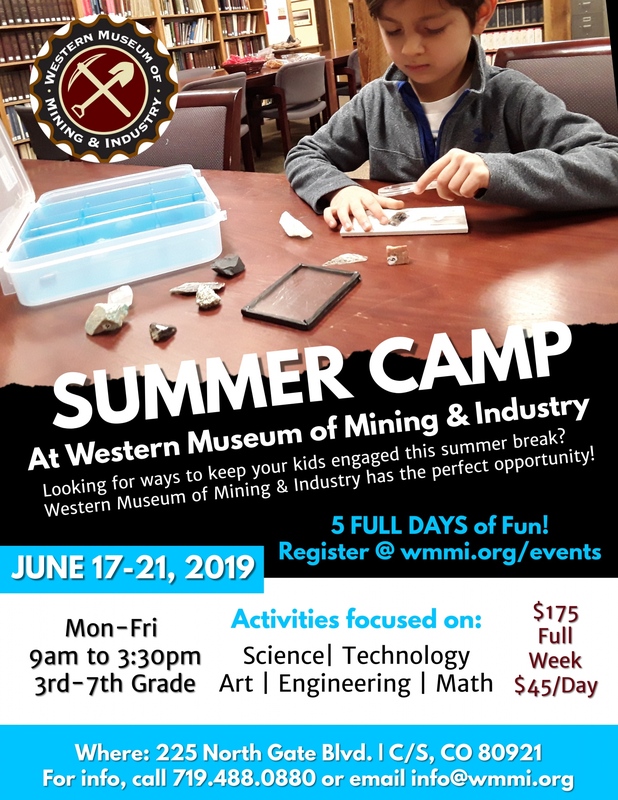 Western Museum of Mining & Industry has the perfect opportunity! 5 FULL DAYS OF EDUCATIONAL FUN! Friday, June 28 7 P.M.
Kim Richey is a traveler. Musically, physically, emotionally. Not merely restless or rootless, it’s who she is. Willing to follow where the music leads, she’s landed in Los Angeles, Nashville, London, working with a who’s who of producers – Richard Bennett, Hugh Padgham, Bill Bottrell, Angelo, Giles Martin. She’s attracted a coterie of top-shelf genre-definers — Jason Isbell, Trisha Yearwood, Chuch Prophet, My Morning Jacket’s Carl Broemel, Wilco’s Pat Sansone – for her critically-lauded projects. Where's The Money?! Funding Options for Starting or Growing Your Business. Whether you are just starting your business or need more funding for an existing business, finding the money for your venture is one of the most tricky hurdles to overcome. There are a variety of ways you can find funding, and a variety of organizations, people, and resources available to you. What options are right for you? Where should you even start? 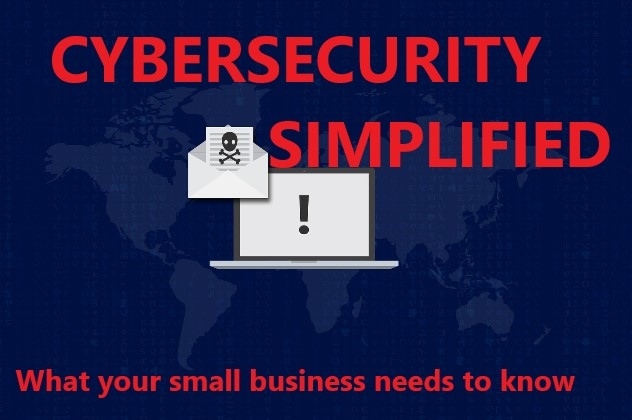 We designed this course to be an insightful overview of the various options available to you -- including traditional bank loans, microlending, SBA loans, venture capital, angel investing, grant-funding, crowd-funding, bootstrapping, etc.